Foreign Minister Mohammad Javad Zarif left Tehran for Istanbul, Turkey to attend the extraordinary meeting of the Organization of the Islamic Cooperation (OIC), Trend reports citing IRNA. The meeting will review the recent terrorist attack against two mosques in New Zealand which claimed the lives of tens of Muslims and left 50 others injured. The OIC extraordinary meeting is slated for Friday in Istanbul. Earlier, following the brutal incident, he called his Turkish counterpart Mevlut Cavusoglu, who is the rotating head of the OIC and asked for an extraordinary meeting of the OIC. 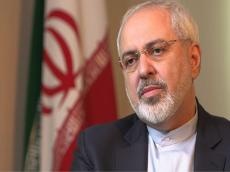 During his phone talk with Cavusoglu last week, Zarif strongly condemned the killing of Muslims and the terrorist attack in New Zealand while calling for taking an appropriate reaction by Muslim countries towards the horrific crime. At least 49 people were killed, and 50 others seriously injured, after gunmen opened fire at two mosques in the New Zealand's city of Christchurch earlier in March when hundreds of Muslims had gathered to say their prayers. A group of senior international figures, including Iranian President Hassan Rouhani, Foreign Minister Mohammad Zarif, the Iranian Parliament Speaker Ali Larijani together with the Muslim Council of Britain (MCB) have so far condemned the heinous terrorist attacks.